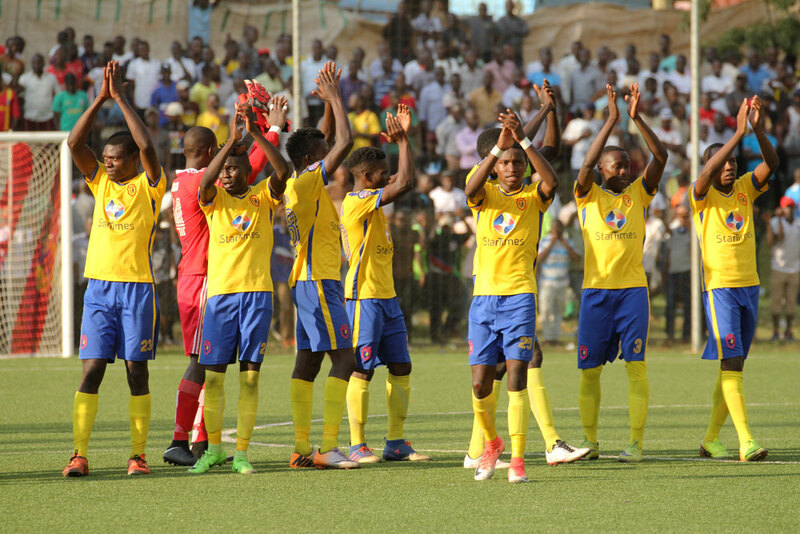 LUGOGO – KCCA FC will hope to move back atop the StarTimes Uganda Premier League when they host Nyamityobora at the StarTimes Stadium on Sunday. Mike Mutebi’s side start the day only three points behind leader Vipers SC and a victory in Sunday would see them go top by virtual of goal difference. The Kasasiro Boys will however have to be concerned by their home form going into the game after drawing two of their first four games (0-0 with both Mbarara City and Kirinya JSS). They will be boosted by the return of several national team players including those in the Kobs’ team that lost to South Sudan and those in the senior side. However, the fact that all return in different shape, it remains to be seen who amongst them will start. “Despite of the fact that some of us featured for the U23 and Cranes, i don’t think it will be a concern, said Julius Poloto ahead of the game. “We are confident especially as we go into the game following a win against SC Villa. “We know every game is not easy as teams prepare their best when they come up against us but the team is ready to fight for all three points. For Nyamityobora, they are in desperate need for points as they currently sit second from bottom and without victory in any of their last three games including a 1-0 loss to Kirinya in their last game. This is the first meeting between the two sides as the visitors are in their debut top flight season. KCCA go into the game on a 12 match unbeaten (W8 D4) run in the StarTimes Uganda Premier League including a 3-2 victory over SC Villa in the last game. Mutebi’s side has also been immense at home, winning 17 and drawing 5 of their last 22 league games. The last time they lost a league fixture at home was in the 2-1 loss to Vipers in April 2017. For Nyamityobora, they have won only one of their 7 league fixtures (D1 L5) so far (2-1 at home to Mbarara City). Away from home, they have lost two and drawn one of their three games. The draw came in their last fixture against URA (0-0).